Did you know that Ontario is the 16th-largest subnational entity in the world? That's right, out of every demarcated piece of land that isn't itself a country, there are only 15 that surpass Ontario in size. Plus, among those 15, only two have a population that is greater than Ontario's: China's Inner Mongolia Autonomous and Xinjiang Uyghur Autonomous Regions. In Ontario, "Cottage Country" is far more than just your standard collection of summer homes. It is a vibrant expanse that is teeming with destinations and entertainment, some of which might just surprise you. Take, for example,The KEE to Bala. This barn-style concert hall sits on the shores of a quaint Muskoka town. It would hardly seem like the type of venue to attract mega-famous artists like Snoop Dogg, Drake, Louis Armstrong, and The Ramones, yet that's exactly what it's done over its storied history. Most of the time it's popular Canadian acts taking the stage, but regardless of who's up there, it's a venue that tends to produce top-notch live experiences. If you're worn out from a night of going nuts at The KEE, you can unwind with a spa day at Deerhurst, the acclaimed resort just outside of Huntsville. Or if you're craving a different kind of excitement, hit up the family favourite Santa's Village near Bracebridge. On a sunny day, there's nothing like grabbing a panini and ice cream from Miss Nelle's and hanging out by the picturesque dam in Baysville. Maybe even head over to the nearby Lake of Bays Brewery for a tour. To make your Cottage Country trip perfect though, try timing it so that you'll be in town for the annual Ribfest that takes place in Gravenhurst. Not far from Cottage Country, Algonquin Provincial Park is a destination that frequently attracts nature enthusiasts of all degrees and abilities. Whether you're coming from Toronto, Ottawa, or anywhere in between, Algonquin Park is easily accessible and primed for exploration. The most common draw to the Park (or, 'The Gonk,' as some have taken to calling it), is the backcountry camping and canoe tripping it offers. One could traverse The Gonk for a dozen summers without fully exploring all of its dazzling lakes and portages. Within the Park are also lots of specific attractions, such as the Cairn dedicated to Tom Thomson on Canoe Lake, the Fire Tower on Big Crow Lake, Mollie's Island on Smoke Lake, and other fascinations that seasoned visitors know so well. However, even camping-averse road trippers can take part in fun outdoor activities at Algonquin Park. Throughout the park, there are areas designated for biking, fishing, boating, picnicking, hiking, swimming, and wildlife watching that don't require participants to venture too far into the Park's interior. The Highway 60 Corridor alone makes for a beautiful drive with plenty of spots to get out and take pictures at. Within this little region are some true gems of Ontarian and Canadian culture. At the top of the list is The Canadian Canoe Museum, located in the mid-sized city of Peterborough. The national heritage centre is a shrine for the stories watercraft that emerged as one of Canada's most enduring symbols. Come marvel at the 600-plus canoes and kayaks on display and soak up the history surrounding canoeing and paddling as a whole. Roy MacGregor's Canoe Country is a recommended read for valuable additional perspective. Fans of the Tragically Hip will be quick to point out that the Kawartha Lakes are home to Bobcaygeon, the title and setting of one of the band's most iconic songs. Go discover the beautiful town for yourself and watch "the constellations, reveal themselves one star at a time," just as the legendary Gord Downie did. During the day, you can pay a visit to the original home of Kawartha Dairy, the best ice cream Ontario has to offer. Yes, Hamilton. The city (and surrounding area) known north of Pittsburgh as Steeltown is actually a hub for some of the best and most serene sights in Ontario. It houses over a hundred waterfalls, making it the perfect backdrop for your next Instagram post (or 10). Plus, the Hamilton region is also a haven for hikers. The Dundas Valley Conservation Area, highlighted by the Dundas Peaks, makes for one of the best accessible hiking spots in all of Ontario. And for those coming from the east, destinations off of the 401 and 407 such as Hilton Falls, Crawford Lake, Rattlesnake Point, and Bronte Creek are definitely worth a stop as well. Finally, in Hamilton you can find the first-ever Tim Hortons restaurant. Seeing as you'll probably go to at least a handful of Timmy's locations on your road trip already, why not pay homage at the one that started it all? Tobermory is the pot of gold at the end of the 885 km rainbow that is the Bruce Trail. Situated smack in the middle of Lake Huron, on the northernmost point of the Niagara Escarpment, this revered area draws in thousands of visitors every year primarily for its geographic beauty and unique natural attractions. Many know it as the "fresh water SCUBA diving capital of the world. Others think first of its distinctive Grotto or the spectacular rock formation that gives Flowerpot Island its name. Some might point to its proximity to Bruce Peninsula National Park. 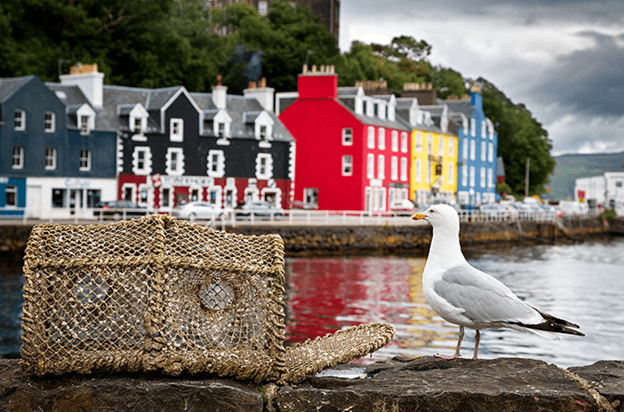 Regardless of the purpose for visitation, road trippers are guaranteed to leave Tobermory feeling dazzled by what they saw. If we're going to discuss the fantastic attractions at one end of the Bruce Trail, we might as well do the other one, right? And that end in question is Niagara, a region that strikes a balance between quaint, breathtaking, and kitschy like no other. Any discussion of Niagara begins with the Falls, a waterfall display that is pretty much unmatched around the world (depending on how you feel about Zambia and Zimbabwe's Victoria Falls). They are truly a sight to behold, and you can get an up-close (and safe) view of them by taking a ride on the Hornblower (formerly known as the more fantastical Maid of the Mist). Once you've had your fill of the Falls, you can have some fun on the Clifton Hill midway; or, if festival-like tourist-y commercialism isn't your thing, you can head over to the famous Fallsview Casino. But the Falls area is just one side of the coin that is the Niagara region. Niagara-on-the-Lake is one of the most beautiful towns in the entire province. It is chalk full of first-rate hospitality and wineries. There are always lots of tours and activities happening in the town, but the biggest event is The Shaw, a seven-month theatre extravaganza that puts on approximately 11 plays each year. Lambton Shores is an eight-town municipality on the southern shores of Lake Huron that seems to check every box when it comes to tourism. Looking for a 'Jersey Shore but less obnoxious' style of partying? Find yourself a place to stay in Grand Bend and join in for the revelry that takes place there every year from the May 2-4 Weekend up until late September. Hoping to spend your days and/or nights in a beautiful provincial park? Hit up The Pinery, a sizable cluster of forests, campgrounds, trails, and rivers that are tucked away just behind Lake Huron. Want a nice golf retreat? Check into the Oakwood Inn and play 18 holes on the adjacent course. And if you're willing to hop back in the car and drive a bit further, the nearby town of Bayfield is known for its Geocaching adventures. Go a bit farther to Clinton and you might catch a sighting of Nobel Prize-winning author Alice Munro, who currently lives a quiet life there. This luxurious lakeside municipality south of Belleville and just west of Kingston is a favourite destination for tourists looking to unwind in a pristine setting—not to mention take advantage of gourmet food and sophisticated wine. Its most well-known attraction is Sandbanks Provincial Park and beach, which is generally regarded as one of the best beaches in Canada. Prince Edward County is also a nice jumping off point for boating over to the nearby 1,000 Islands. The northernmost entry on this list, Temagami makes the cut over other natural attractions because it is in close proximity to the two highest points in Ontario. Getting to them, however, requires some outdoor savvy. The popular runner-up, Maple Mountain, is in the heart of Lady Evelyn-Smoothwater Provincial Park, and can only be accessed via canoe of float plane—and that's before factoring in the hour-plus hike it takes to summit it. Ishpatina Peak, the absolute highest peak, is a bit more car-accessible, but still requires some rigorous hiking and bushwhacking. But hey, if you're going to drive all the way past North Bay, you might as well cap it off with something epic, right? Perhaps because it's so far west that it borders Wisconsin, Sault Ste. Marie often gets overlooked in discussions regarding Ontario tourism. But make no mistake, it's worth the trip to the borderlands. Lake Superior offers some of the best kayaking around, and there are a handful of points just north of Sault Ste. Marie to rent and book guided expeditions from. Then there is the Agawa Canyon train tour, a one-day excursion that will immerse you deep into the region's exquisite landscape. Ride during the fall for an epic display of colours. Before you head out, remember to prepare for your trip. Pack snacks, test your vehicle to make sure it can handle a lengthy trip, and ensure that you have adequate insurance coverage to help you navigate any worst-case scenario.